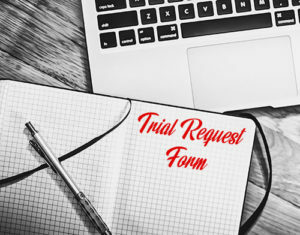 We may collect personal information (such as name-surname, institutional information, telephone, corporate IP address, or e-mail address) that you provide when you subscribe to the E-Bulletin via the EaZy Solutions web site, fill out the Demo Request Form, or register for our EaZy Days activity. We may be able to obtain information from third parties and business partners, including our Personal Data, from corporate web pages, from sources other than EaZy Solutions such as Integrated Services. We can use the information we collect to better target and publish relevant content and services. We make sure that when we use third party services to publish them, we do not disclose information that would lead to personally identifiable information, and we treat Personal Information in accordance with this Policy. In some periods, our company may send campaign information, information about new products, promotional offers to its customers and their members. Our members can make all kinds of choices about whether or not to receive such information through the link in the information communication that comes to them. Our Company reserves the right to strictly protect private and confidential information, to regard it as a duty of confidentiality and to take all necessary precautions to protect and maintain confidentiality, to prevent the unauthorized use of any or all part of the confidential information or the unauthorized use of any confidential information, commitment. As a general rule, we do not share your personal information with anyone outside EaZy Solutions. However, we may sometimes share your personal information with trusted third parties. These; publishers who are cooperating with you to submit information about your products and services, provided that you prefer not to receive informational messages, are systems designed to provide public information to law enforcement or government authorities where necessary. Title of Company: Kolay Çözümler Bilgi Teknolojileri Tic. Ltd. Şti.